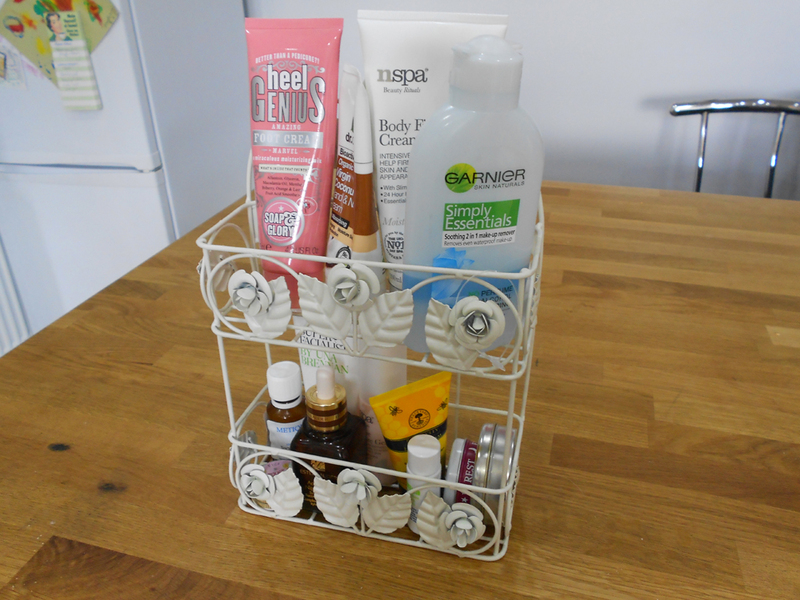 I love seeing how others organise and store their beauty products. I get a fair bit of storage envy when I see any Muji items and would love some of my own, but for now I'm going with a mismatch of cheap but seriously cute storage. All my makeup is kept in these boxes from Store Twenty One. They have a massive selection of designs and colours, plus a choice of three or four different sizes. Of course I just had to buy some with a bird/birdcage print! 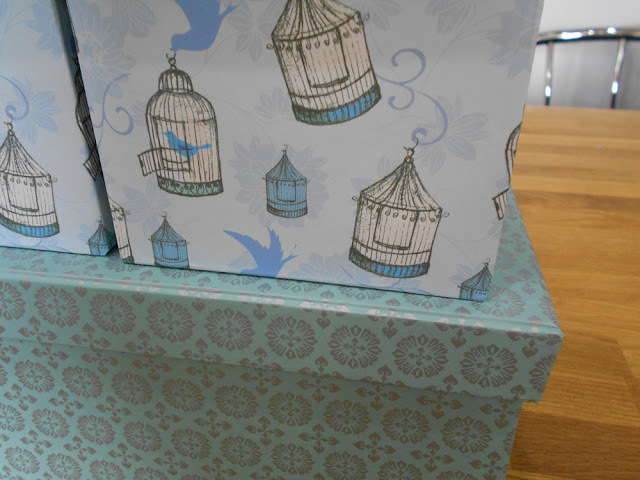 The small boxes are only £1.99 and the large one is £2.99. I keep my makeup brushes in this lovely, vintage looking pot, which is also from Store Twenty One. It's actual purpose is to hold a square candle, as there is a glass pot inside the wooden one. Unfortunately I can't remember how much this was, but I don't think it was more than £5.00. 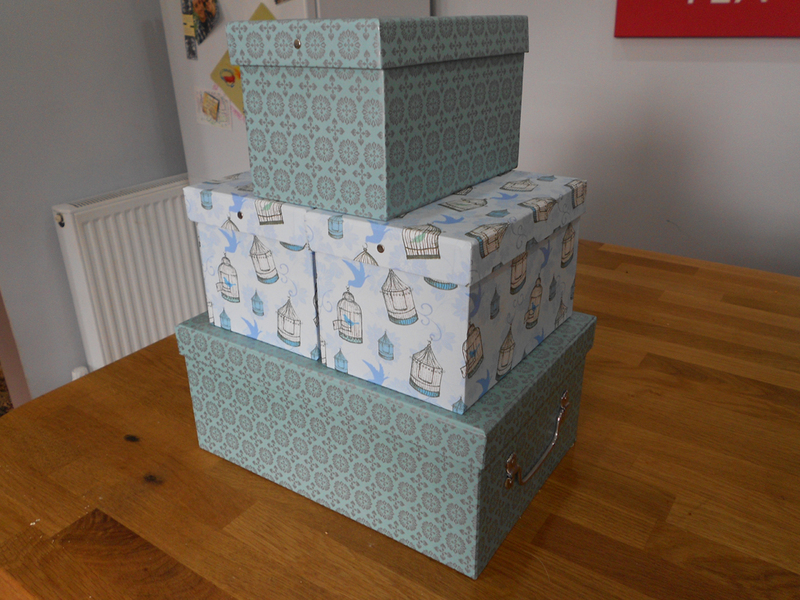 My most recent storage purchase is staying with the white, vintage style and was only £10.00 from Asda. I was looking for something to put on my bedside table to organise the mass of products that collect there and it just fits the bill perfectly. 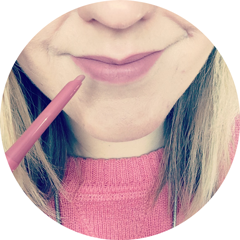 What are your favourite beauty storage buys? Please share! great post !!! I love that shelf you have from asda - it's so cute and practical. 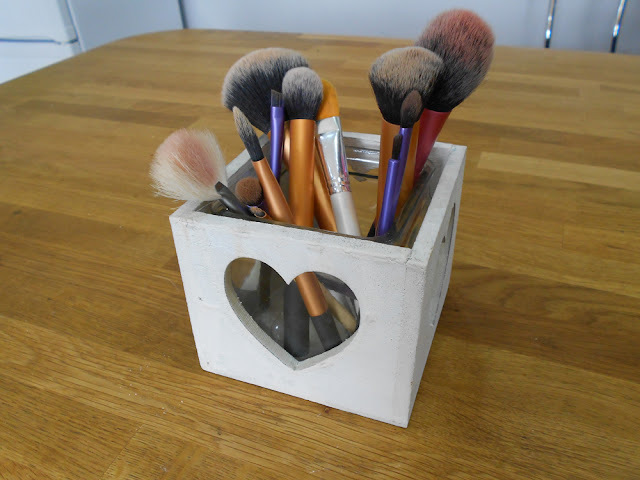 Also love your make up bruh holder :) I'd love to see inside the boxes ! Is there a Store Twenty One near Bristol? I really like the bird cage boxes and the wooden one! I love the storage boxes, I need like 10 to keep my all my stuff in, hehehe!